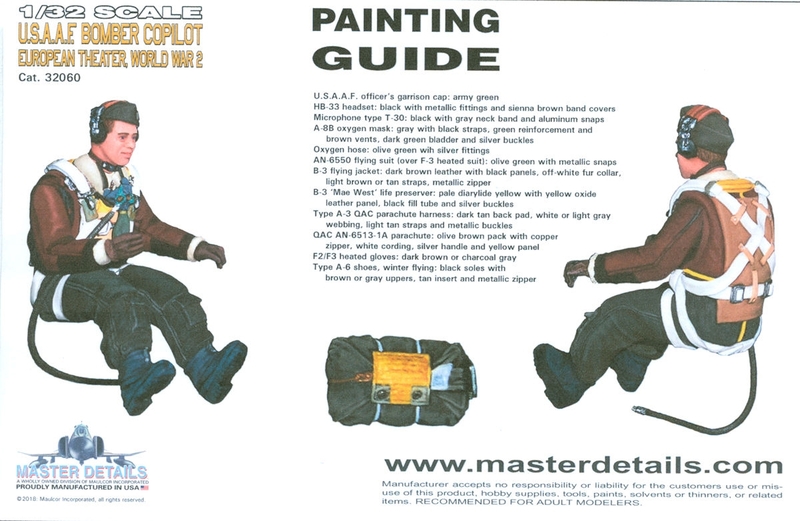 Authentically equipped with an AN-6550 flying suit, Sherling B-3 jacket, A-6 flying boots, B-3 life preserver, Type A-3 Q.A.C. 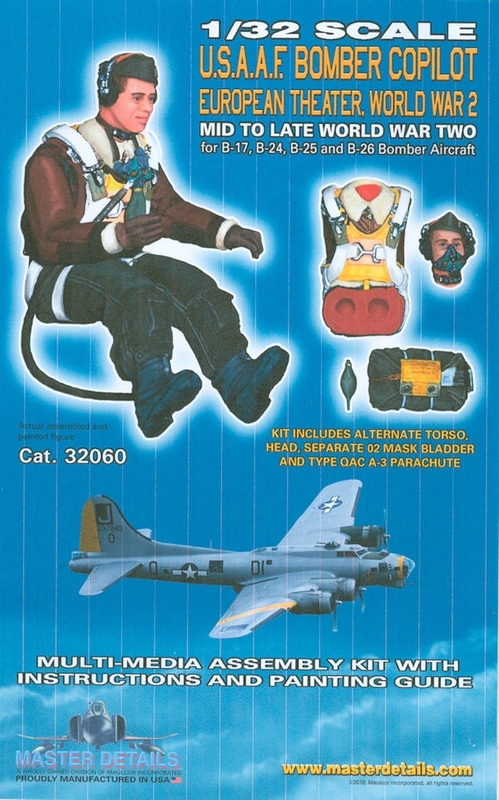 parachute harness and separate chute pack, Type T-30 throat microphone, Type A-8B oxygen mask, Type HS-33 headset and wearing the officer’s garrison cap with lieutenant’s bar, this highly detailed and meticulously sculpted multi-media assembly kit adds a major element of authenticity and realism to your big bomber model. 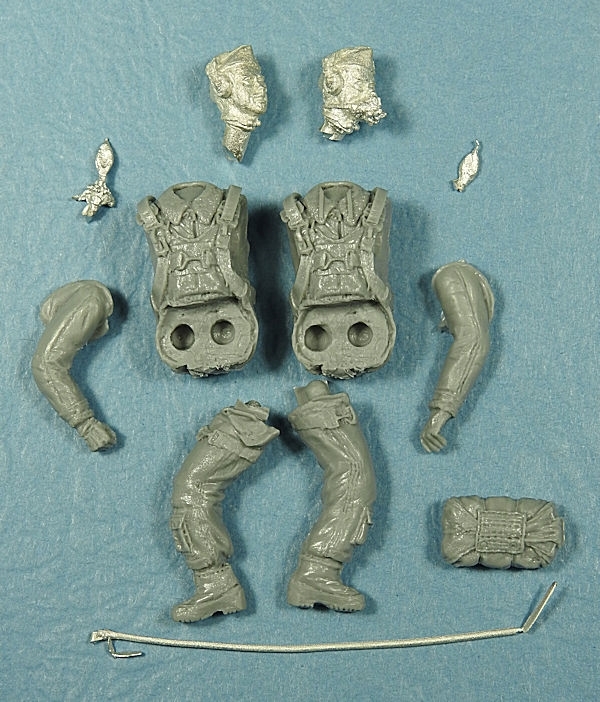 Created in precise 1/32 scale, this figure kit is designed for the HK Models B-17F and B-17G kits but will fit others as well although some minor modification may be required. 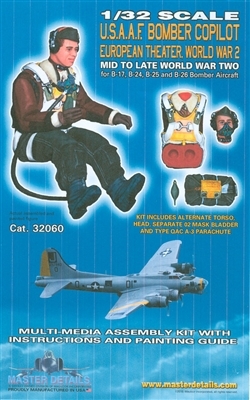 The kit contains parts for the figure as shown with additional alternate head, torso and O2 mask bladder allowing the figure to be depicted with the oxygen mask in place. 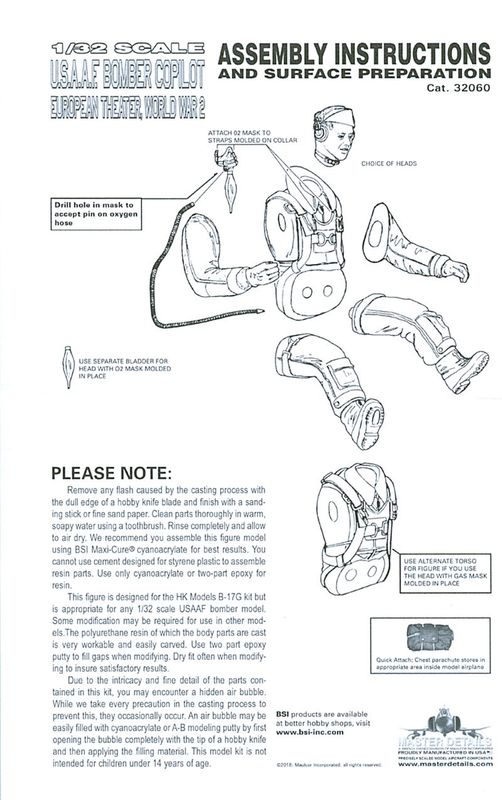 Assembly instructions and painting guide are also included.